Our Nutcracker-inspired Ball raised vital funds last night to help our work supporting seriously ill children and their families. 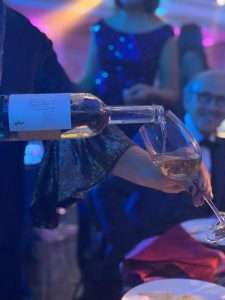 In total the Ball, which was supported by our generous partner Disney UK, and hosted by our Patron Simon Cowell, raised the mighty sum £350,000.The Nutcracker Ball was held in aid of families facing the heartbreak of knowing their child will die young. Taking place at One Marylebone in London, it was a spectacular night of Disney Magic, inspired by The Nutcracker and the Four Realms. Compered by Jordan Banjo, guests including Peter and Emily Andre, Melanie Sykes, Lance Corporal Richard Jones, Kristina Rhianoff and Googlebox stars Stephanie and Dom Parker, joined Simon Cowell and his partner Lauren Silverman for a sumptuous feast created by award winning chef Aldo Zilli. Guests were then treated to a live performance from James Arthur, and danced the night away to DJs The Mac Twins. 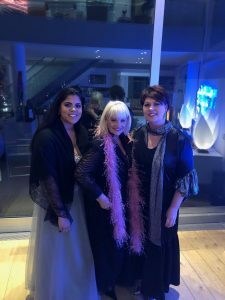 Guests also heard from very special guest Carly Hadman, a mum who lost her daughter Effie to Late Infantile Batten Disease when she was just six-years old. “Together for Short Lives was there for us when we felt lost,” Carly told guests. “They were there to listen, to help find the care that was right for Effie and our family, and connecting us with other families through their safe online forum. It helped us feel less isolated and alone. Having Together for Short Lives’ help is priceless.”Carly’s speech touched a nerve with guests in the room, whose generosity helped us raise £350,000 from the evening, including individual pledges to support our Helpline, which provides a first port of call for families and carers of children with life-limiting conditions and complex medical care needs. 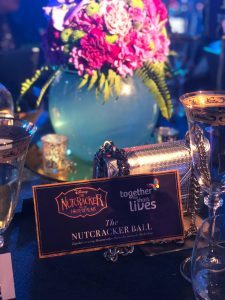 “We are proud to support Together for Short Lives by partnering with them on such an immersive and fun event as the Nutcracker Ball,” said Tony Chamber, General Manager of Disney UK & Ireland. “We know that all funds raised from the event will help increase the emotional resilience of children and those closest to them, providing moments that matter for children across the UK with a life-limiting or life-threatening illness.”Simon Cowell, Patron of Together for Short Lives and host of the Ball, explained the importance of the event, saying: “The Ball is an opportunity to raise much needed money and help thousands of children and families get the support and care they need. I am always immensely grateful for the generosity of the people who attend the Ball.”If you’d like to join Disney and Simon Cowell in supporting our work for seriously ill children and their families please donate today – every pound of support helps us do more. 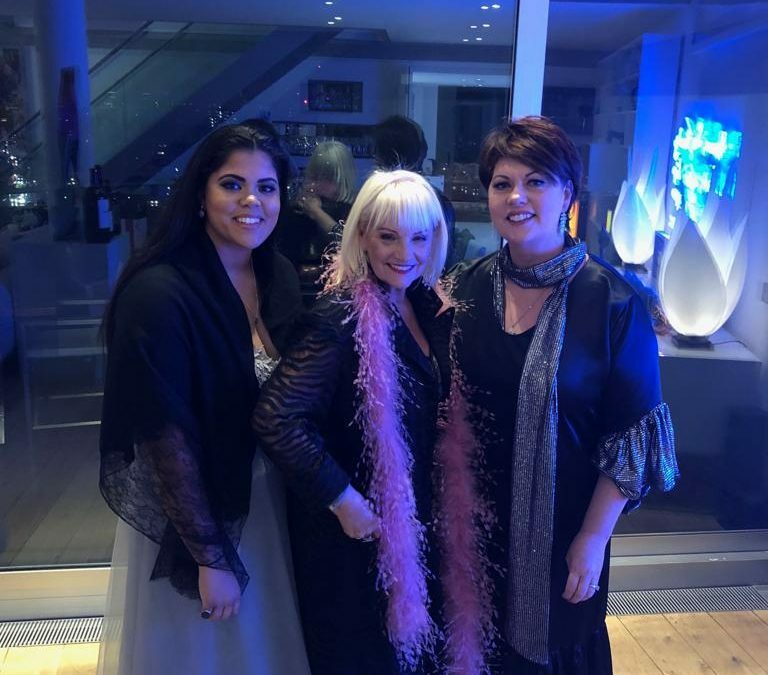 We’d like to thank everyone who attended and supported the Ball, especially our incredible partner Disney UK, our patron Simon Cowell and Carly who spoke so eloquently and emotionally about losing her daughter Effie. 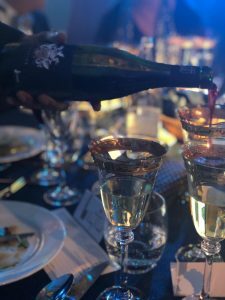 We’d also like to thank all the prestigious companies for generously donated their support and luxury items, and special thanks to Moyses Stevens, Domaine des Jeanne, Aldo Zilli and Addison Lee.